By specializing in a given discipline, we learn our marketplaces well. A marketplace can vary greatly across disciplines and geography. Due to this approach, we have the knowledge to advise and become a great partner to our stakeholders whom we consider to be our clients and candidates. Our technical recruiters work with and place all levels of technical type management professionals and the people they manage such as engineers, technicians, operations and production people among others. Our IT recruiters focus on IT personnel like software developers, applications professionals, project managers and IT directors. Our Human Resource/Business Recruiter conducts searches for a wide variety of positions that vary from human resource professionals to general management and financial professionals. Field knowledge makes a difference. 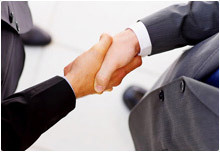 Our recruiters have work backgrounds in the very disciplines in which they make placements. They have added to that knowledge by recruiting in the field and learning from everyone they talk to. This means they can relate to both clients and candidates and that means that they get better results for you. As the old saying goes, "It takes one to know one." Our recruiters have the research tools plus an extensive network of developed contacts that help our client companies get the best candidate. We have the skill to get at the right people and to attract those people for our clients. Networking is our business and by being a specialist in a given discipline, we are better able to quickly locate and match the best talent with the best companies. Because of the highly specialized skills required for connecting with and recruiting management and executive talent, it is critical that you work with a mature, highly-experienced recruiter with a background placing such people. Better yet, work with a recruiter who has experience in management. Finding management type people requires the ability to assess soft skills and thinking patterns. Leave it to Workforce Search Group to present you managers who will make a difference to your bottom line.